Should I fix my Screen Enclosure myself? The main focus of our company since it's inception is our outstanding customer service. We like to break it down into four parts. It starts with talking to a real person when you call and not some recorded answering machine. Secondly, we believe a large part of customer service is being on time for appointments! We don't give an all day window, so sitting around the house is a thing of the past. Our appointments are set so you can plan your day knowing that we're going to be there with in the time frame we give you. Third, is the way we present our estimates. We don't write our estimates on the back of business cards or show up like we just came off of vacation. Our estimates are provided in a blue folder with copies of our insurance and state license for your verification. We do not use any subcontractors, so our customers don't have to worry if the workers are covered by our insurance. Yes you might get a cheaper price, but that just means corners are being cut somewhere else. Usually it's on the quality of materials that they are using, or they just do not carry any insurance, that's where corners are cut. Finally our workers arrive in company attire and in vehicles that are clearly marked from us. This way your not wondering who is showing up at your house. If you've seen our trucks you know its pretty obvious what company they belong to. They are polite and professional and can answer all your questions. 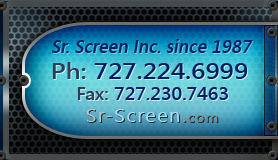 Here at Sr. Screen, Inc. we don't cut corners. We do things correctly the first time. Please feel free to look up our record with the Better Business Bureau (bbb.org). You will see that we've never had a complaint in all these years, and these sites are reported by the consumer. Whether you are looking to replace a single screen or build an entire screen house, we have the tools to get the job done right, in most cases on the same day! Our efficient installation process means more savings for you, and every screen repaired or new enclosure installation is fully inspected and tested to ensure your complete protection. In addition, our experience and relationships with manufacturers also allow us to offer unbeatable prices on all parts and labor. We have a wide variety of high quality, affordable, custom enclosure designs available. We will make every effort to build your enclosure or give your existing pool cage a facelift (making it look like new again), to fit not only your needs, but your budget as well. 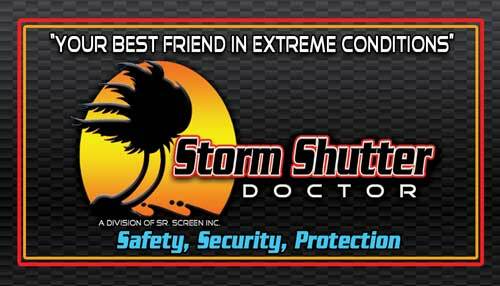 When you get your enclosure installed or screen replacement by Sr. Screen you can always count on receiving professional, competitively priced service. Our aim is to provide the highest standard of quality in all our products and services, and we pride ourselves on going the extra mile, exceeding our customers' expectations to create a lasting relationship and earn new business through their referrals. So whether you need service for a single screen panel, a pool cage face-lift, or an entire pool enclosure built, our highly-experienced and courteous staff can help you pick out the screen type or design the very best product to fit your needs, and budget. We will handle every phase of the project, from delivery to cleanup. St. Pete, Seminole, Largo, Clearwater, Palm Harbor, Safety Harbor, Duedin, Redington Beach, Indian Rocks Beach, Harbor Bluffs, Tierra Verda, St. Pete Beach, Pinellas Park, Medeira Beach, Gulf Port, Pasadena, Belleair Bluffs, Belleair, Oldsmar, Tarpon Springs, Holiday, Tampa, Town �n� Country, Westchase, Egypt Lake, Carrollwood, Tampa Bay Florida Screen Repair. Rescreen, Screen repair, screen replacement, pool enclosure builders, screen enclosure, Phifer, Super screen, screen pool enclosure, swimming pool enclosure, patio screen enclosure, aluminum enclosure pool screen, screen lanai, screen porch enclosure, florida screen pool enclosure, florida screen enclosure, aluminum screen enclosure, screen room enclosure, Pool enclosures, Patio enclosures, Screen pools, Spa enclosures, Aluminum enclosures, Screen porch, Screen patio, Pool fence, Aluminum roof enclosures, Aluminum roof, Screening, Florida Room, Railing, Aluminum fences, Aluminum railing, Phifer Screen, BetterVue, TuffScreen, No-see-Um Screen, Shade screen, Insulated aluminum roofs, Florida screens, Florida screen enclosures, Florida pool enclosures, Hurricane Shutters, Storm Shutters,Force 12 Protection, Storm Catcher, Storm panels, Hurricane Panels, CLEAR guard, Aluminum Panels, Accordion Shutters, Roll Down Shutter, Bahama Shutter.